Emily: Hi guys! Hope you had a wonderful week so far! 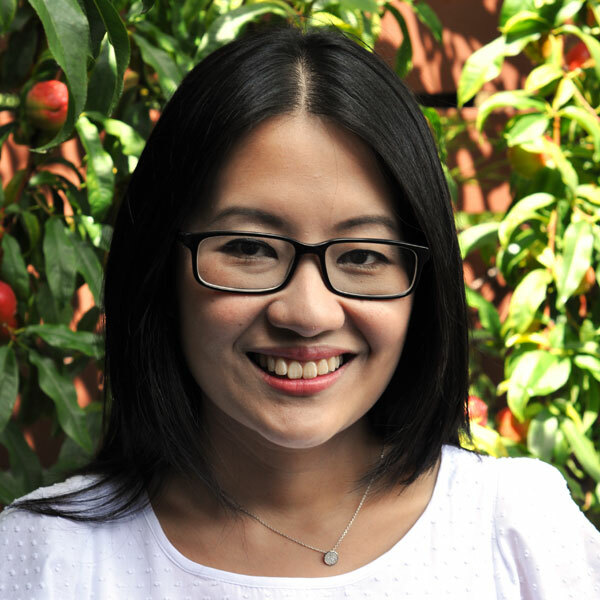 It’s that time of the month again to feature my next blogger friend, Abby, from Things for Boys. 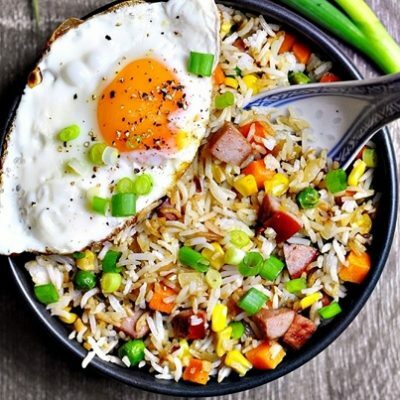 I felt like Abby and I got connected over the homemade kecap manis recipe. 🙂 I love her fun sewing tutorials and her recent completed project of a slouchy leather bag upcycled from her mum’s leather jacket was inspiring. Now, it’s in my head that I want to make my own “ideal” handbag ha! Hi, I’m Abby and I blog over at Things for Boys. 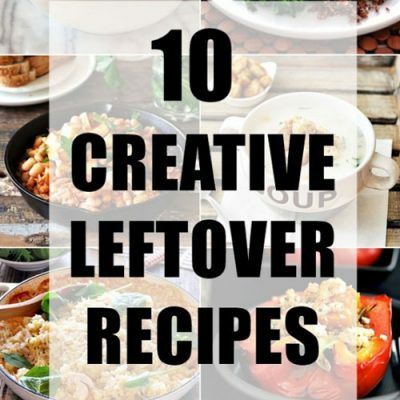 At least 90% of my brain power is put towards cooking and crafting, so my blog has become a place to share with everyone all the things I get up to. 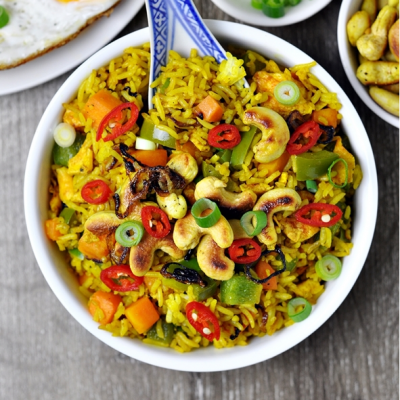 I love cooking for family and friends… it really brings everyone together. Most weeks, we will have a guest or two stopping by to join us for dinner.With two young boys, you’ll find a lot of kid friendly recipes on the blog and the odd cocktail too. Who doesn’t occasionally need a cheeky drink to help them relax at the end of a busy day? 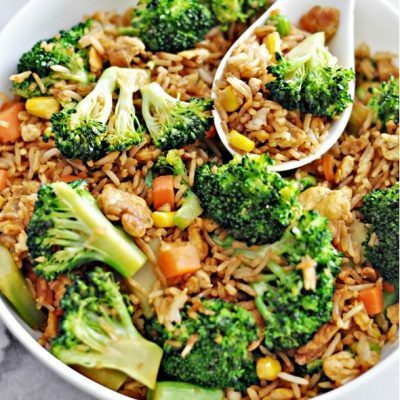 You can find all my Recipes here. I have been sewing for as long as I can remember. I started off like many other crafty kids, making clothes for my Barbie dolls. Gosh, that was more than 20 years ago now! Knitting is a more newly acquired skill, but with several amazing knitters in the family, it was something I thought must be a subconscious skill, so I set out to teach myself. Check out my Knitting 101 series if you’d like to give it a go. I also like challenging myself and will try out new crafts or DIY projects on a whim. You can browse my Project Index here and take a look at my Tutorials here. I’ve recently branched out into designing patterns, some free, some to purchase, which you can find in my Shop. Sewing. Cooking. Crafting. Boys. Fun. I started blogging as a way to show overseas family what I was up to and some pictures of the boys. That was almost 3 years ago now and I’ve written over 300 posts. Things for Boys is a pretty practical name for my blog as I write about all the things I make for my boys. The boys being my hubby and two young sons. Roman is currently 3.5 and Ted is 10 months old. The ‘things’ I usually blog about are sewing projects, other crafting escapades and any cooking I get up to. I love to bake and am a hopeless sweet tooth, so most of the recipes are sweet treats! Definitely the friends I have been able to make. I have made several friends through blogging, some on the other side of the world and some in real life and it’s so nice to meet people that share the same interests as me. I love being able to chat to them about projects and ideas and they get as excited as I do.! The other great highlight was being asked by Spotlight to work on a project for their Creative magazine. It was very exciting to have such a large and well known company that I spend a lot of time shopping at to be in their magazine. I was quite flattered to know that the team in their media department was reading my blog. Firstly, my calendar. I live by this calendar and find it the most useful way to keep my blogging organised and to stay motivated. My next most essential tool is my camera. I’m quite a visual person and I think photos are crucial to a good blog. Your skills and equipment don’t have to be amazing, it’s something you can learn as you go. Which brings me to my last tool…Google. I am always googling tools, tutorials and tips, such as taking better photos, recipe inspiration, sewing techniques or the latest trends. This year I would really like to move from Blogger to WordPress. I’m feeling like I have too many eggs in the Google basket and would like to have more ownership of my content. I’m looking forward to doing a site redesign as part of the move too. I would also like to add another sewing pattern to my pattern shop. The boys are doing their best at taking up all my free time though, so I’ll do my best. If it’s a topic you’re passionate about, then just for it! Just start writing! Your site doesn’t need to be amazing and professional looking to get started, so don’t let that hold you back. At first, you might feel like you’re talking to yourself, but when you get a comment that isn’t from your Mum, it’s pretty exciting! It’s a great way to make friends and learn more about your interests. Emily: I like how Abby organised her recipe index. In amongst of her recipes, the satay turkey burgers caught my appetite. I tweaked her recipe a little by adding Thai red curry paste and turmeric powder. 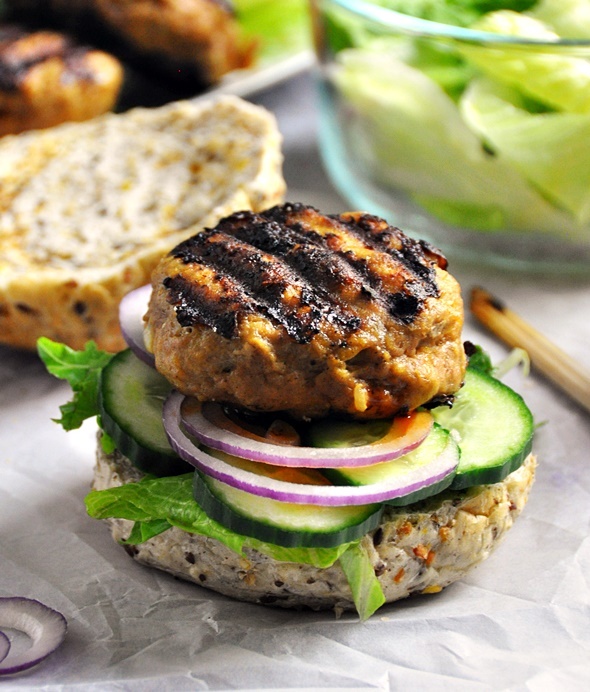 Turkey burgers with an Asian twist, I love it! 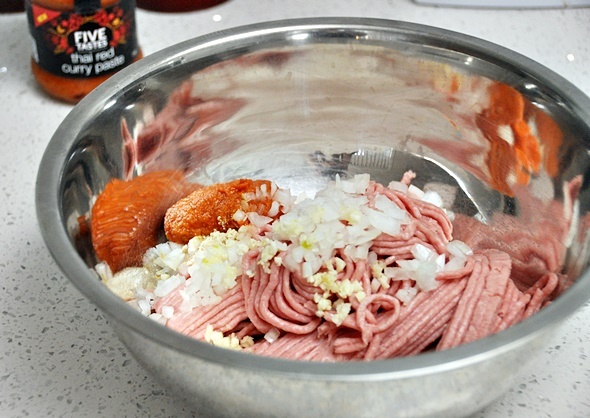 Mix all the patties ingredients in a large mixing bowl until well combined. Shape into 6 patties with wet/oiled hands. 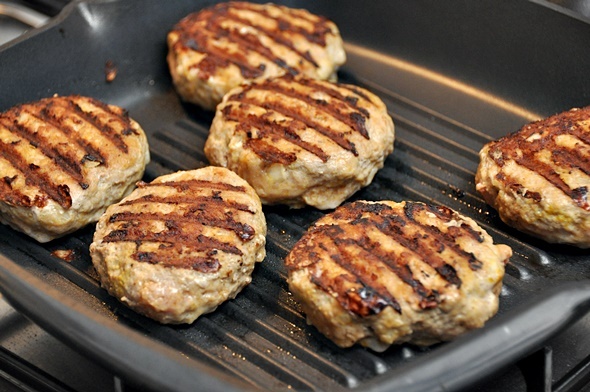 Cook the patties on a pan/griddle pan until fully cooked. 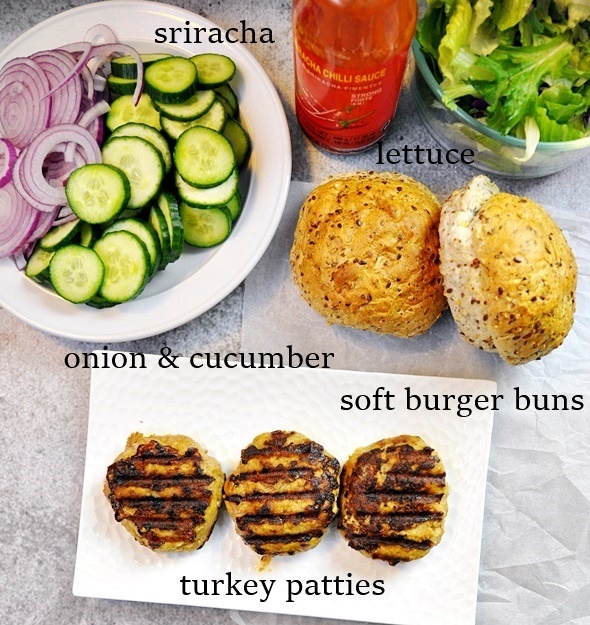 Assemble the patties with the vegetables, burgers and drizzle with sriracha sauce. Serve immediately. 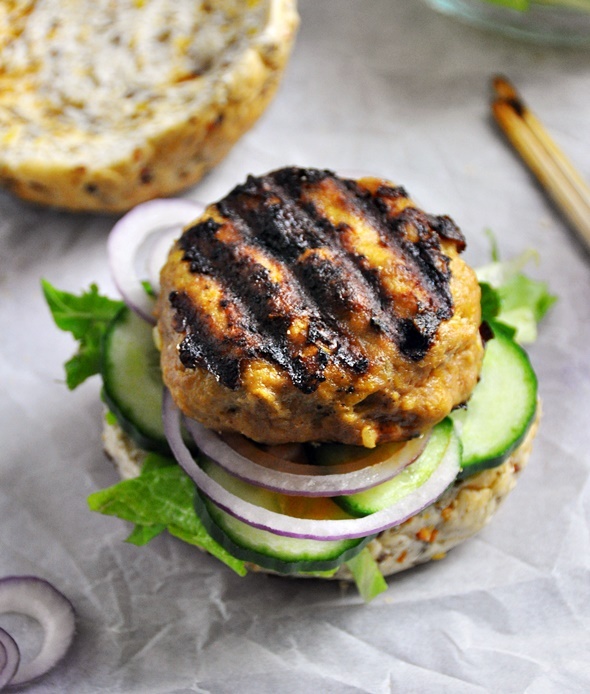 Satay turkey burgers…what an ingenious idea! I love peanut sauces on noodles, but have never tried a peanut-y burger before. Sounds like a winning flavor combo! Hubby even spreads peanut butter on his burger roll! Thanks for having me Emily. I love your spicy take on the turkey burgers! I’ve been reading your blog since before the kecap manis, but it’s definitely how we became friends 😉 I’ve started making it in large batches and keeping it in the fridge. 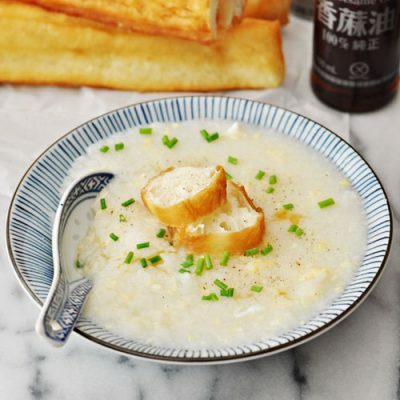 Oh man, I need to be getting myself to byo brunch, this looks delicious for lighter take lunch/breakfast food.